Denise Fullerton founded Fullerton Law, P.A. to focus her efforts on helping personal injury victims recover from financial and emotional distress following injury. Combining her many years of experience with her passion for helping people in need allows Denise to tenaciously protect her clients and see to it that they receive the most just result possible. Education and information are incredible tools. Denise arms her clients with extensive information from beginning to end, so each person can make independent and thoughtful choices in their own case. With the comfort of Denise’s compassionate, thoughtful, educated, skilled, and strategic guidance, her clients have not only confidence in the outcome of their legal situation, but have a sense of personal control in the direction of their case. Denise designed Fullerton Law, P.A. with the objective of providing individualized personal service to each of her clients, while still maintaining the ethical and aggressive reputation she has built through her years in practice. She takes the time to get to know each of her clients individually, understanding their goals, life obstacles, how they make decisions, and more. This approach allows each client to experience their case being taken seriously and handled uniquely to their needs. Both Denise Fullerton and the firm Fullerton Law, P.A. have received numerous acknowledgments and recognitions for excellent service, reputation, and performance. 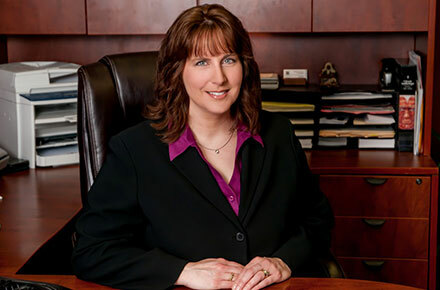 To learn more about attorney Denise Fullerton, visit her personal profile page, or contact Fullerton Law, P.A.